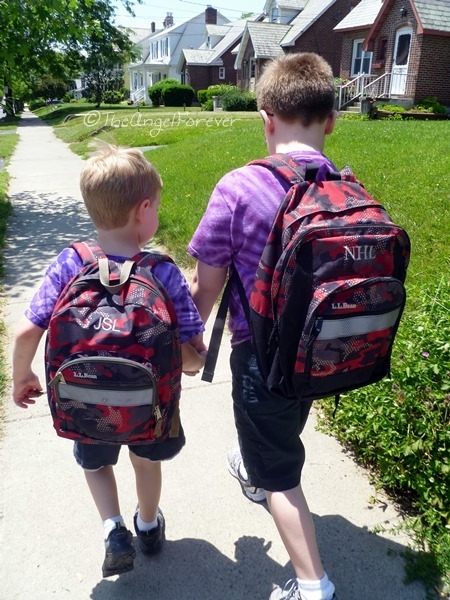 Last Friday, I sent the boys off to a half day of school. They went into the building as a kindergartener and fourth grader. When they greeted me in the early afternoon, they were officially first and fifth graders. As they walked down the road to our car, they held hands. It was a sweet moment and made me happy and sad at the same instant. Recently, it dawned on me that we will only have one more year of these moments. My boys are just shy of four years apart and are separated by four grades in school. Next year, NHL will be finishing up elementary school and moving on to middle school (HOLD ME). For some reason, I thought they would be in high school for a year, but they will not. The same year that NHL graduates from high school, my baby will be graduating from middle school. So excuse me for a little bit. I need to take time to cherish the moments here with the boys. It seems like yesterday that they were both so little and now they are growing up before my eyes. 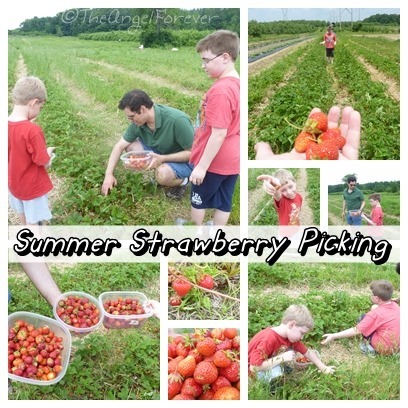 We will be making the most out of the summer and started that this weekend with a family trip to pick strawberries. I am not entirely sure what we will do next, but I know it will be special and hopefully give the boys memories that they will cherish and think back on when they get older.